PARTNER NEWS: Digital security giant Gemalto is to provide connectivity and security to Alibaba’s YunOS internet of things (IoT) operating system which is “widely integrated” into mobile devices, and chips and sensors in connected cars and smart homes, across China. 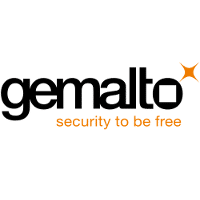 “In this partnership, Gemalto provides its Allynis Trusted Service Hub that allows easy provisioning of security sensitive applications throughout the identity lifecycle management,” Gemalto says. Gemalto (Euronext NL0000400653 GTO), the world leader in digital security, announced that it is collaborating with Alibaba Group’s YunOS to provide connectivity and security for YunOS – developed by Alibaba Group, it is a cloud-based, data and services oriented Internet of Things (IoT) operating system, widely integrated into IoT devices, as well as chips and sensors across industries. In this partnership, Gemalto provides its Allynis Trusted Service Hub that allows easy provisioning of security sensitive applications throughout the identity lifecycle management. Security is a paramount component in IoT devices as it provides the peace of mind for YunOS customers, such as drivers of connected cars, and users of smart home appliances and mobile devices. This alliance extends YunOS’ vision of a uniform identity framework for disparate IoT applications.